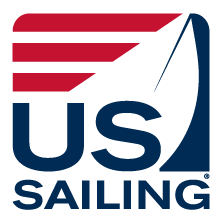 Step 2: Search for the "US Sailing Bookstore"
Step 3: Once the App is downloaded you will be asked whether or not to allow notifications from the app. Click " Allow" or "Don't Allow"
*If you have forgotten your Member ID or password, click on the “Forgotten Password or Member ID” button. Step 8: Once the rulebook is fully downloaded, tap on the cover to open it. Step 9: If this is the very first time you have opened an e-book through this platform, you will see the Quick User Control Guide. (You will not see it again.) Swipe or tap to move on to the book. The next page is the front cover. Tap or swipe to continue. Step 10: This “Navigation Tips” page demonstrates some key features of your digital rulebook that will help you navigate efficiently. The next two pages are the interactive Table of Contents. Tapping on the section you want to read takes you to the first page of that section. To move back and forth one page at a time, you can swipe or tap from page to page. Step 11: Rule Pages; Clicking on defined terms and rule citations (within other rules) brings up a pop-up with the text of the definition or the cited rule. When a rule or definition is cited on the same page where it initially appears, it will not generate an interactive pop-up. A red diamond between the number and the name of a rule indicates that content from Dave Perry’s Understanding the Racing Rules through 2020 is available. Clicking on the diamond opens the content in a separate browser.